After her raw and provocative Autobiography, Never Again, not to any woman or girl again which won her the love and support of fellow survivors who are now leaders like herself as well as many round the world, CNN Hero and Multi Global Award winner and most probably the most awarded African woman in the world for charity and development work, Muzvare Betty Makoni got invited to many speaking events to share her story and that of her charity, Girl Child Network Worldwide. As she went around UK and many countries to speak and inspire everyone, she discovers that women and girls especially from Africa do so much great work on the ground and their leadership and inspiring work at grassroots level though lacking financial support and recognition it is what is changing the world. Imagine living in a world where there is a permanent rhythm, song and inner peace. Imagine a world where your inner soul, body and mind dance to a continuous, harmonious and melodious poetic song daily. Imagine living in a world where your passion is permanently your purpose. Imagine a world where positive energy flows in your body with a massaging effect for where it is tense. Just imagine a world with no hatred, jealousy, Pull Her Down Syndrome, racism, sexism, discrimination, injustice, abuse or fear. If your imagination can be stretched more, just again imagine a world where you do not give up despite challenges and stumbling blocks. Imagine a world that is empowering and inspiring where you keep moving forward. That world is real and it is possible. In her latest poetry book, Muzvare-Her Royal Highness Princess Betty Makoni creates that world. It is not an imagined world but it is real and the one she lives now. In this poetry book, The Inspiring and Empowering World Of Muzvare Betty Makoni; Poetic Rhythm, Positive Energy, Passion With Purpose, she invites everyone to live in this world as long as they are here on earth. The life journey with poetic verse stories and inspirational quotes has twenty chapters, each giving full dosage of empowerment and inspiration. With this Real People and Real Stories approach, Muzvare Betty Makoni captures the most inspirational and empowering aspects of life and its beauty and positive energy through 21st century poetic short story real life verses. Her greatest achievements and those of others must be celebrated and appreciated always. 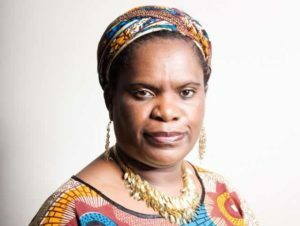 When Muzvare Betty Makoni got defamed, persecuted and verbally abused through the internet and social media by those who wanted to stop her work, she reflected upon what her best response would be. One natural reaction would have been to get discouraged and give up on her mission and vision or seek to revenge. As they say, the pen is mightier than the sword. She feels strongly that for one to thrive in the 21st century, the only way to go is to create an inspiring and empowering world and transmit the positive energy to everyone around you. Daily someone and somewhere is about to give up their dreams because of negative energy from others. Being a great poet that she is, this poetic book ignites energy in everyone who will read it. This poetry book transforms victim into leader so that they walk in fullness of their potential. If Christians have spiritual hymn books and bible verses to turn to ignite the spiritual world they live in , then likewise this poetry book is the rhythm and positive energy one needs to turn passion into purpose, sustain it forever so that whether you live longer or shorter on earth, your life finds a meaning. Poetry has never been taken into story telling like this. Finally, she is in the global village and walking in the fullness of her potential. She celebrates what she calls life at forty plus and finds her youthful days she lost as a child all coming back as a great celebration of her hard work. The poetry book includes stories of women unsung heroes whose work may not as globally be awarded as hers but she finds herself poetically telling their stories through simple everyday language but in rhythmic verse. If many in the world came with their top lists of who is up there then hers is contained in this book. This poetry book brings back the appreciative inquiry in the African culture. When someone does something good we clap our hands and recite their totem bringing out their greatness. In a world full of negativity and many women pulling each other down, this poetry book lifts up Princesses, professionals, musicians, event managers, charity workers and ordinary people who have never known they are so high up. Muzvare Betty Makoni recreates an inspiring and empowering world using the many positive stories of grassroots women she interacts with daily. She expresses gratitude and love of what is good. In this book it is all about celebrating victory especially for those brought up in a culture where celebrating one`s achievements is often mistaken to be ‘pride’. This book has wisdom of the 21st century in it. There are those who are and will be silenced by poverty, disease, abuse, war, oppression, domestic violence, political unrest, threats, unemployment or who may be or are in situations where speaking out is now a taboo; Those of us who can speak, do something or even help out should never tire. Be they men, women, girls or boys, just anyone whose life you can touch, rescue and breathe life into then this book is your moral campus to keep doing whatever you are doing despite challenges. You do not need approval from anyone to do good to any boy, girl, man or woman. Do whatever good you can do to whoever you want and wherever and whenever you see them. For Muzvare Betty Makoni, focus is permanently on empowering and educating girls. What is good is automatically done for anyone, anywhere and anytime as long as they need it. Doing something is better than doing nothing. To be written about by one of the most powerful woman in the world is an honour beyond words….. The Inspiring World of Betty Makoni her new book, her offering that highlights women she feels the world should know about! I’m humbled and filled with gratitude X — with Muzvare-Princess Betty Makoni.